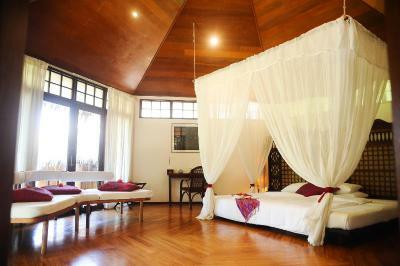 Lock in a great price for Mandala Spa & Resort Villas – rated 8.1 by recent guests! The room was amazing and I love the garden and the fruit in the food. The Villa was spacious and clean with all the expected amenities. The breakfast was fresh, plentiful and served wherever we wished. We were welcomed with a refreshing drink and tea, and escorted to our room by the nicest and most helpful staff we've ever encountered. The villa was beautiful, bright, spacious, and clean. 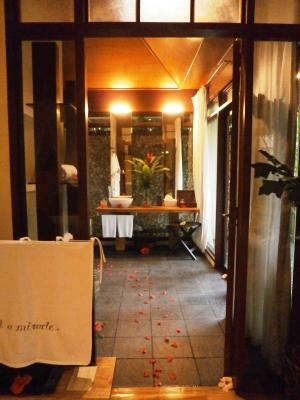 Flowers were strewn upon the bed and the bath, creating a romantic atmosphere. The bathtub and outdoor shower were refreshing to return to after a long day at the beach. Очень большая кровать в уютном шале с тропическим душем. Комплекс находится в густом пальмовом саду. Отличный Спа комплекс. Наверное, по комфорту это лучшее место на Боракае. Имеет место уединенность, но звуки транспорта и дискотеки все же мешают спать. Очень вышколенный персонал - на пять. Отличные завтраки, повар хорошего уровня и всегда идет на встречу гостям. Не очень далеко до пляжа. Супруга оценила СПА на уровень "хорошо". 모든 것이 다 좋았습니다. 새소리, 벌레소리, 바람에 나뭇잎이 흔들리는 소리 등 자연과 하나가 되는 기분이어서 편안했습니다. 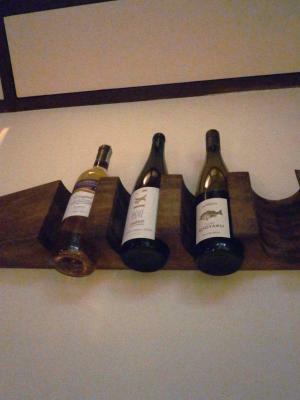 조식도 깔끔하고 정말 맛있었습니다. 귀여운 도마뱀을 보면서 야외에서 씻는 것도 참 매력적이었습니다. Mandala Spa & Resort Villas This rating is a reflection of how the property compares to the industry standard when it comes to price, facilities and services available. It's based on a self-evaluation by the property. Use this rating to help choose your stay! 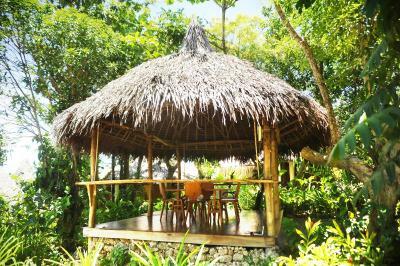 Mandala Spa and Villas is on the island paradise of Boracay Station 3. A 5-minute walk from White Beach, the eco-friendly resort features a spa and spacious villas. 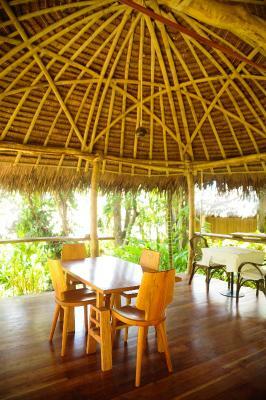 Villas feature circular high ceilings and polished hardwood floors. Each comes equipped with an iPod dock, flat-screen TV and CD player. A private terrace provides the ideal place for in-room massage treatments. Mandala Villas is a 10-minute ride from D’Mall. The resort is a 20-minute boat ride from Caticlan Airport. 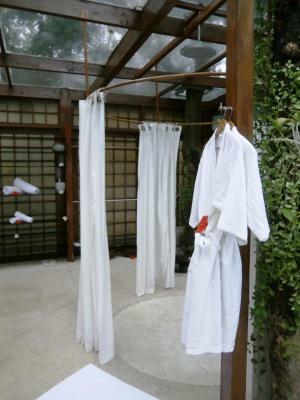 The award-winning Mandala Spa offers a Watsu water therapy pool. Guided yoga sessions are held daily at the hillside Yoga Shala. For a day out, island tours and water sports activities can be arranged at the tour desk. Airport transportation is available for an additional charge. Guests can enjoy a breakfast buffet in the breakfast garden tent daily. 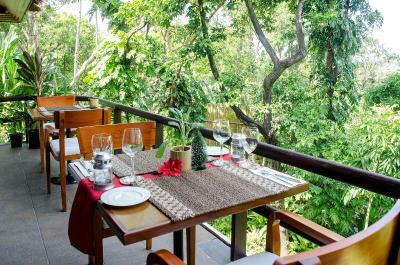 Private dining in guests’ villas can be arranged. 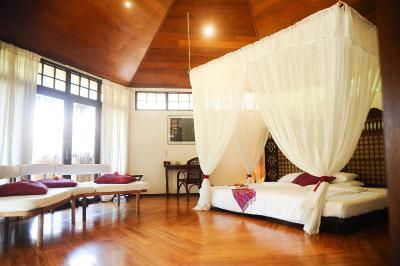 When would you like to stay at Mandala Spa & Resort Villas? 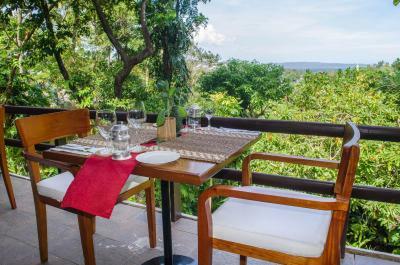 Offering free WiFi and garden views, villa features teak flooring, a wooden ceiling. Private bathroom includes a custom-made bathtub and exquisite bath soaps, shampoos and conditioners made from natural ingredients, infused with essential oils and healing herbs. Designed for relaxation and meditation, this villa features yoga areas, a private veranda and outdoor rainshower facilities. 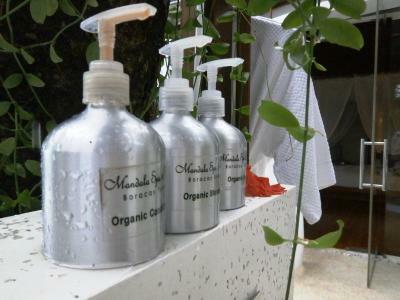 Mandala Spa & Villas is a place of serenity and tranquility. 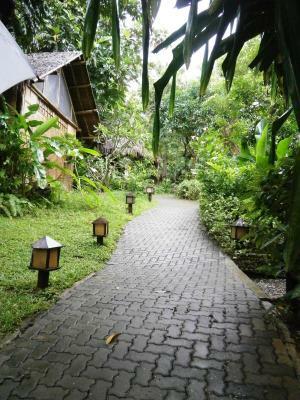 Nestled on a quiet hill in station 3 in Sitio Angol, Mandala Spa & Resort Villas is just 5 minutes away on foot from the White Beach. Please note that at Mandala Spa & Resort Villas, we wish to provide an environment that is conducive to rest and relaxation, and as such, we are pleased to accept all guests that are 13 years old and above. 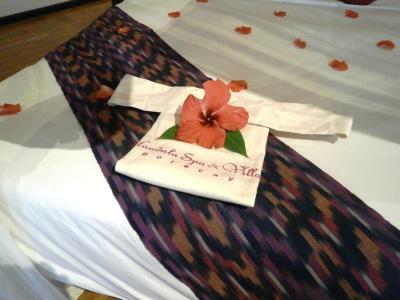 House Rules Mandala Spa & Resort Villas takes special requests – add in the next step! Children 5 and older are allowed at this resort. Mandala Spa &amp; Resort Villas accepts these cards and reserves the right to temporarily hold an amount prior to arrival. Mandala Spa & Resort Villas accepts these cards and reserves the right to temporarily hold an amount prior to arrival. no swimming pool and direct access to the beach. Restaurant didn't have a lot of the vegetarian options available when we requested them. Was a busy week so sold out! It was Chinese New Year so obviously no planning for extra stock! No rice noodles available for the whole week! Bed very firm, pillows not great. Room was made up but some towels and amenities not replaced, had to request. The property is solely a Villa and Spa. No pool, bar or communal areas. If you purely want a spa (an expensive one at that) then fine, otherwise its not the place for you. 10 min walk to the beach down slightly hazardous steps. Internet was down nearly all week. Nice balcony however no view, and no balcony furniture. The bed was slightly hard, and we wished lotion had been provided.